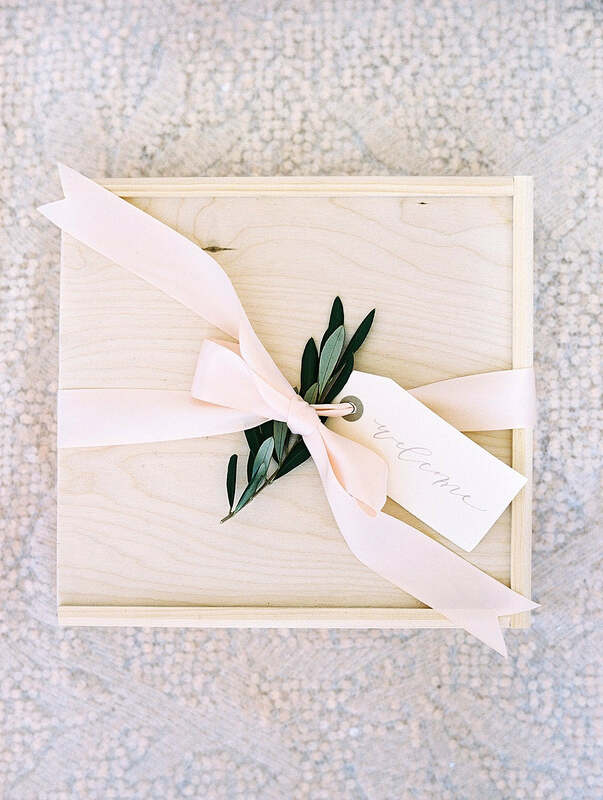 We are a bit behind in sharing these very special wedding welcome gifts created for dear clients of Lauryn Prattes Events but definitely think they're worth highlighting! This is one of our favorite custom gift designs featured by Style Me Pretty in 2016. The bride and groom, originally from Greece, wanted to turn their Congressional County Club reception into an oasis mimicking the look and feel of a Greek island. Naturally we wanted to incorporate details in their custom welcome boxes that would mirror the Mediterranean vibe of the wedding reception. We included mini Greek walnut cakes from Buttercream Bakeshop as well as olive oil imported from the footsteps of Mt. Taygetos included by Lauryn's team. 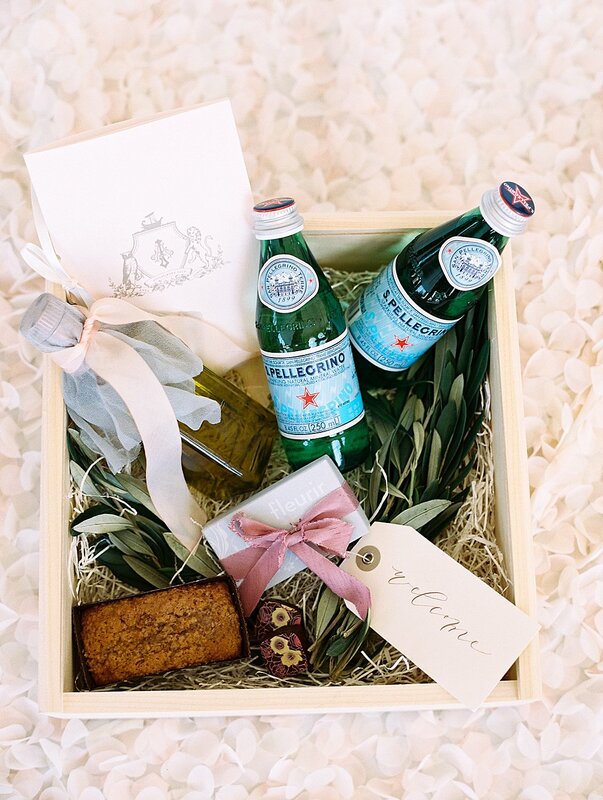 We also included gourmet truffles with floral imprints, mini Pellegrino bottles, as well as a welcome booklet designed by DC-based Winifred Paper. We finished the boxes off with blush ribbon, a hand-lettered calligraphy tag by Poppy & Scooter and fresh olive leaves for a final Grecian touch. For more info on our Custom Gift Design Service, reach out via our contact page or email hello@marigoldgrey.com. We'd love to hear from you!